Black Muslims: we’re real, and we’re suffering - sister-hood magazine. A Fuuse production by Deeyah Khan. Being both Black and Muslim is a beautiful and complicated existence. Being a woman on top of that, is an added insight into the world that I personally treasure. Yet it is an existence of being under constant social pressure in which your culture and traditions are consistently dismissed. We see black deaths and suffering either ignored or used only as a tool to further their own agendas, reducing tragedies into a point to be made in defence of the Brown Muslim community, while alienating Black Muslims at all other times. Earlier this year in February three young Black Muslim boys were murdered. Mohamedtaha Omar (23) Adam K. Mekki (20) and Muhannad A. Tairab (17) were found shot dead. In the aftermath of their peers’ death, other Black Muslims registered the victim-blaming that took place once the media eventually covered their deaths. Eman Idil at MuslimGirl wrote a brilliant piece on the response from the Muslim community to this incident, highlighting how Muslims ignore the topic of anti-blackness among them. Instead many of them chose to regurgitate the same toxic anti-black sentiments of the wider society. If you find yourself asking these questions first, when presented with the death of three young black men, then you need to re-evaluate your position. This revealed the ugliest parts of the Muslim ummah: a tendency to further ostracise Black Muslims who already know the commonality of the experiences of racism within their local mosques, and in their everyday lives navigating a Muslim lifestyle. The combined deadly repercussions of anti-blackness and Islamophobia will result in many more tragedies like this the 15-year-old Somali boy, who was intentionally run over with a car in Kansas City. 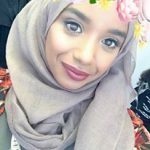 Another death that sends a message to the Muslim community, that fail to highlight the unique threats Black Muslims are subjected to, and the increased scrutiny for simply existing. Last year in Dresden Germany, Khaled Idris Bahray, a young Eritrean Muslim was found wounded, and covered in blood, following the rapid increase of anti-immigrant sentiment across Europe. The list goes on and on. These deaths are less likely to receive media coverage despite their insidious nature of the murders linked across the western world. More often than not, you will see non-black Muslims exploiting such cases with no thought or care for the black community that lives among them. They are always ready to discuss these deaths under the issue of Islamophobia, yet neglect to take account of their black identity and the role this plays out in wider society. 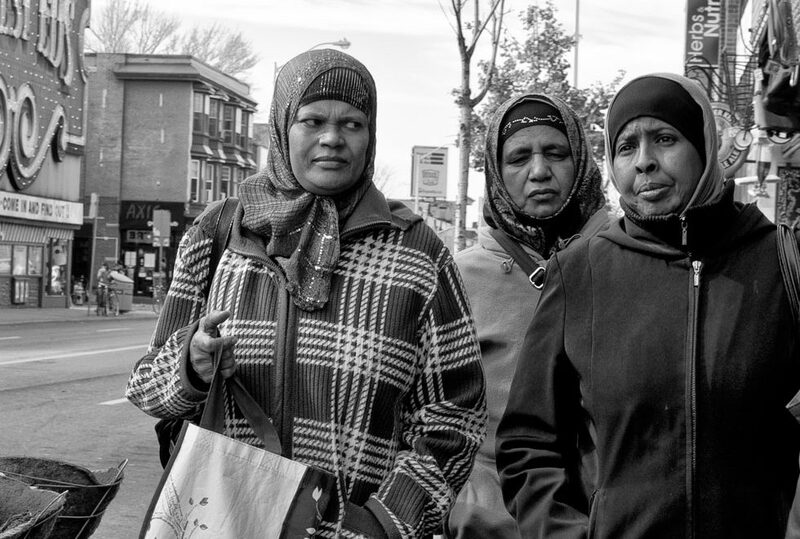 The communities that non-black Muslims come from have their own deep-rooted problems, and they are often showcased as the face of Muslim identity. When there are Muslim panels, conferences or media appearances to discuss all things relevant to the religion and their social experiences, black faces are almost always absent. Where is the Black Muslim perspective? When the only commentary non-black Muslims contribute to state-sanctioned violence against black people is the worn out phrase ‘See!! White people are terrorists too’, like they did en masse in response to the Charleston shooting. While Black people mourned and dealt with trauma, it was not a time to make this point, your selfish priorities are exposed when this is the only contribution you give. It wears heavy on Black Muslims, when non-black Muslims co-opt yet another symbol of the black struggle and transform it into #MuslimLivesMatter. When the whole community rushes to praise Muhammad Ali’s legacy upon his death, knowing how Black Muslims are still alienated in Muslim spaces, it wears heavy on Black Muslims. This is not to say Muhammad Ali belonged only to Black Muslims, but it tends to expose the priorities of non-black Muslims who make no effort to put their selfishness and jarring disregard for black life and black struggle aside even for one second. Repeatedly quoting that one Malcolm x saying ‘Islam kills racism’ does not erase the deep-rooted anti-blackness many Muslims hold within them. This is the Black Muslim existence, a dual identity erased at every opportunity. Last year, following the Charlie Hebdo attacks, understandably many Muslims were upset due to the combined calls for them to apologize for a crime, which they had not committed, as one of the many double standards Muslims are subjected to. In response many started posting and sharing a deadly and horrific attack by Boko Haram in Nigeria that took place just prior to the Charlie Hebdo attack. Of course there is something to say for the way some deaths and tragedies are given much more importance while we remain desensitized to Black or African deaths, as if these bloody massacres are a way of life in some parts of the world. Maeve Shearlaw in the Guardian writes an interesting piece on this. Yet when the Muslim community come out to only bring up African deaths, when ordinarily these same non-black Muslims ignore the plight of Black Muslims within their communities and would never pay any mind to the horrific actions of Boko Haram; in order to make a point, reeks of twisted intentions. Never mind the fact that using pictures of mutilated, bloody and burnt African bodies in order to shock a western audience is disrespectful and dehumanising to the dead, robbing them of their individuality. Sharing pictures of the dead with no commentary on the complex matters of war and geopolitics is counteractive and exploitative. Black Muslims exist, and we bleed. Our deaths and suffering are not merely tools for you to use, as long as we continuously demeaned and dehumanised however, no meaningful progress can be made. With a long legacy in Islamic history and thought, we remain noble and Black.